I have to say…do I care if I find out who killed Kurosawa Bunzo? Yes and no. The man deserved it going by the flashbacks and his behavior just before he was murdered. But, I must say…I keep watching because I do like the fragmentary storytelling, the cinematography and just watching the sons’ reactions as they are being investigated. How funny that the baby of the family wishes to be a psychiatrist—the entire family could use some intense therapy. 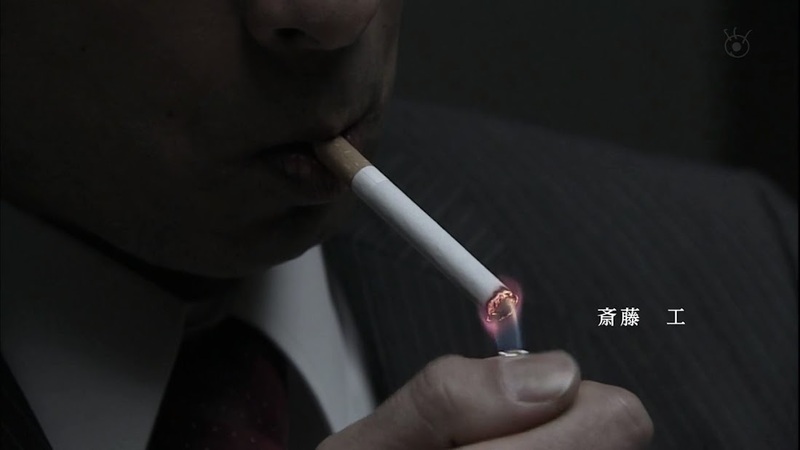 The inspector offers Isao a cigarette which the middle son refuses. 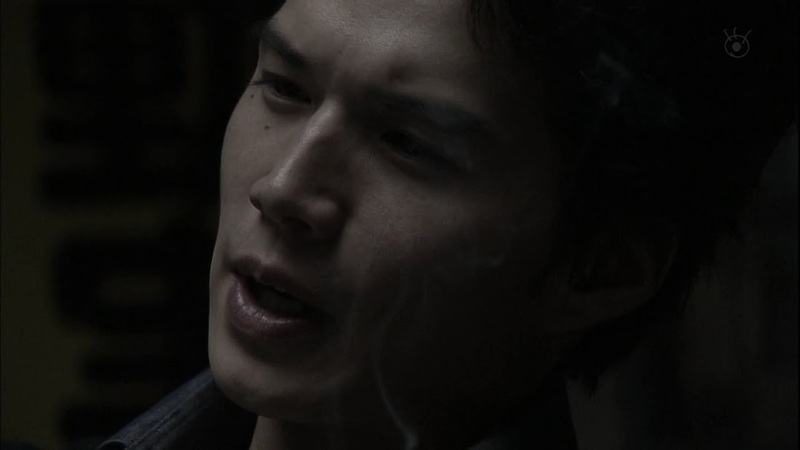 the detective lights up and asks Isao why he killed his father. Isao doesn’t blink—he didn’t kill Bunzo. Of course he did, because he had a grudge against him, didn’t he? Isao smiles slightly and says it’s useless to use his energy against his father. So…he didn’t bear a grudge against his father? That’s right as Isao had flipped a switch on such unnecessary emotions years ago. You can tell the detective doesn’t believe this as he’s smirking. So, Isao didn’t feel the urge to kill him? A smile and a shake of his head and Isao swears that he most definitely had no such urge. Is there a method to delete the urge to kill that has arisen once? Quick flashes to Isao discovering Shiori’s suicide and his father ignoring his plea to save their mother. With a voice over, Isao says that there is no way to get rid of such emotions and desires. It expanded inside him and is waiting to explode. 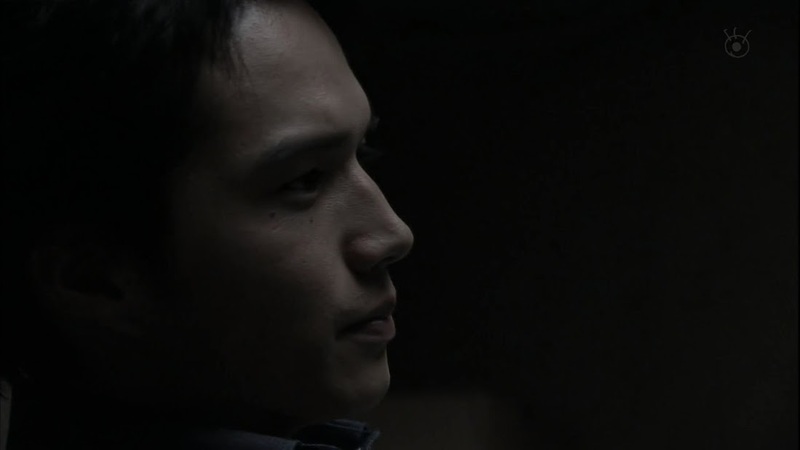 Mitsuru takes his brothers and angrily says that Bunzo will be no help. End of childhood flashback. So why didn’t Isao go back after the holidays were over? 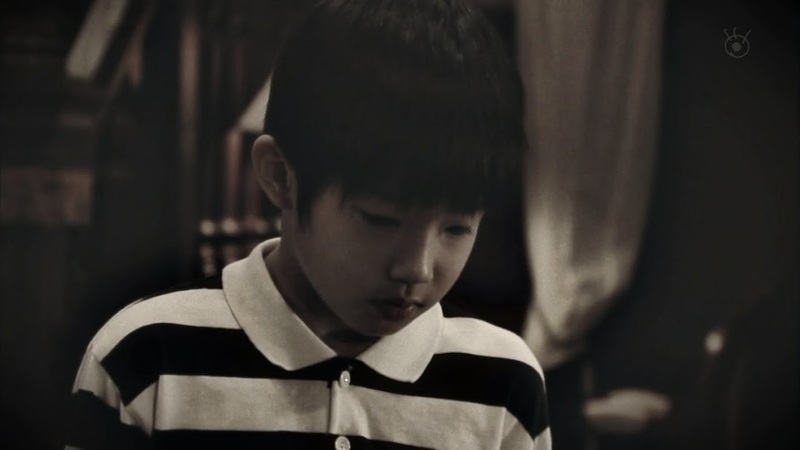 Because his father asked him to stay to take care of a problem within the Kurosawa company. The detective smiles and calls Isao a very dutiful and filial son. 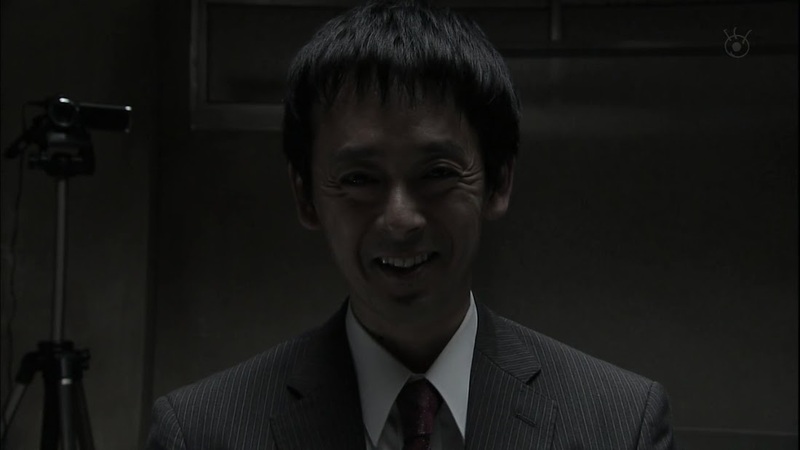 Again, we get Isao’s creepy little smirk. Ichihara Hayato has completely embraced this dark role of his. We go back to the day of the disastrous breakfast. Ryo is cleaning up the broken glass that Mitsuru smashed. 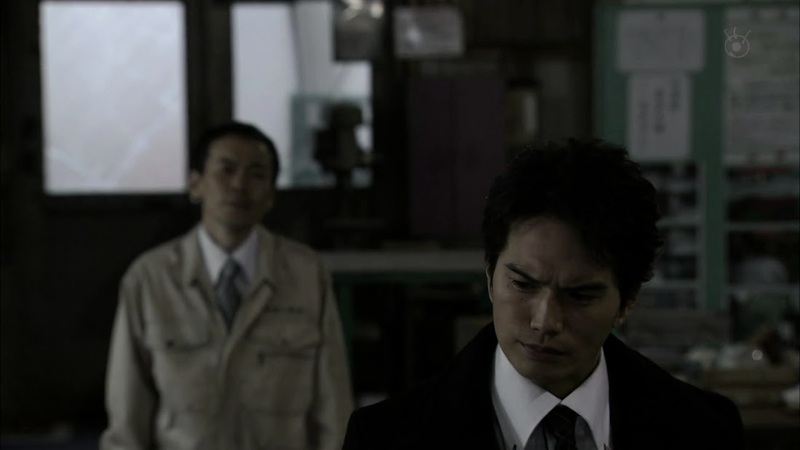 Bunzo calls down to Isao and reminds his son that Isao is going to work for him at the company from tomorrow onwards. Needless to say, Isao does not seem thrilled about that at all. 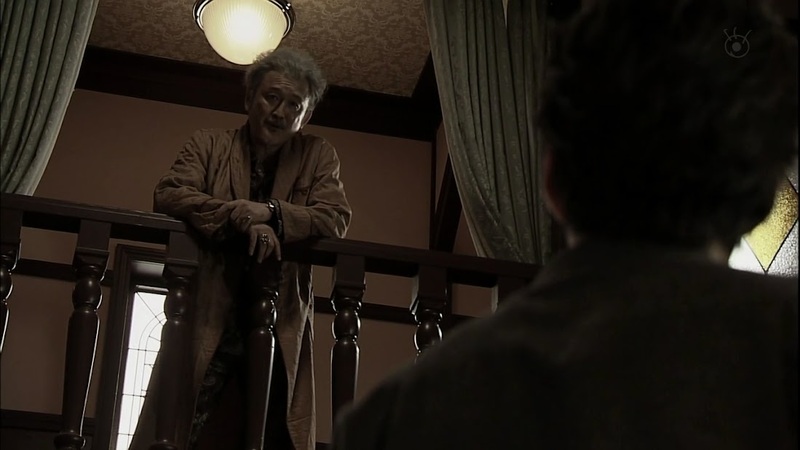 Bunzo tells Isao that his son has not paid back what he owes yet. Seriously? What he owes? Isao shakes and holds his shoulder. I really want to know what happened to that shoulder. Isao is out walking when he bumps into Kanako. The two walk along the beach together. Isao brings up meeting Mitsuru. Kanako says Mitsuru told her that Isao preached at him. Isao says that he didn’t. Kanako smiles and tells him that she’s glad he’s her friend. Isao stops walking and asks how things are going with Mitsuru. Kanako turns and smiles brightly. It’s tough because Mitsuru gets irritated that he can’t find a job, but he always treats her well. Isao forces a smile and says he’s happy to hear that. Once he starts walking again, the smile quickly fades. Ah, what are all the stories we have here? 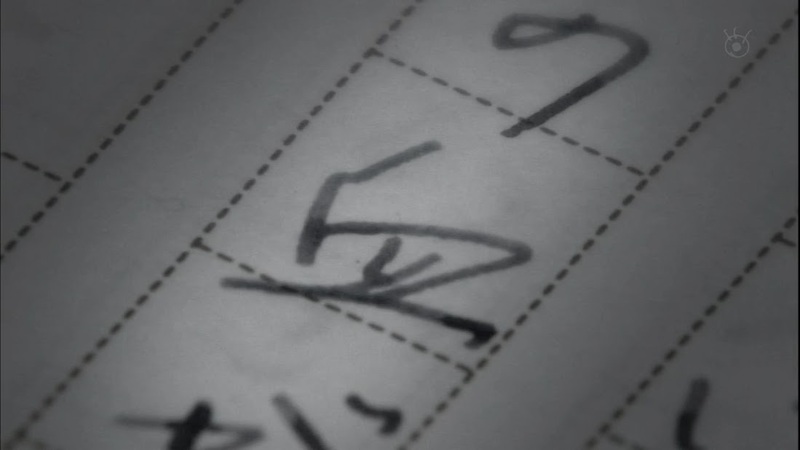 Isao is back in his room writing like a fiend. We catch the words “impulse” and “destroy” before we are taken to another childhood memory. 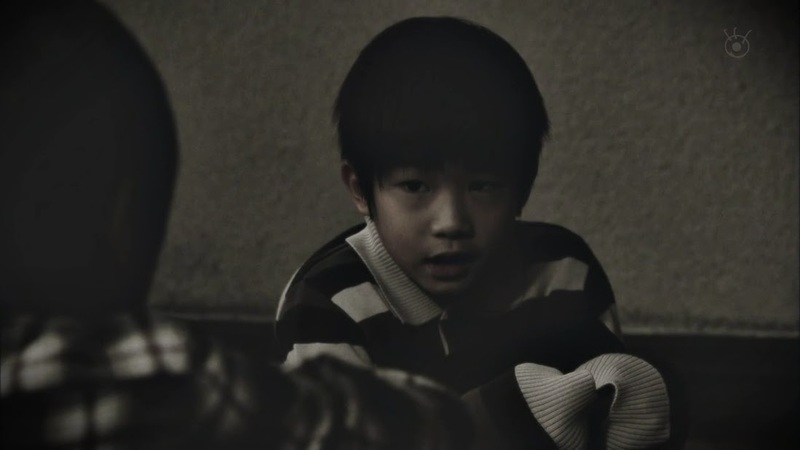 Isao was walking down the hall when he overheard his mother and father talking. Shiori is telling Bunzo that she cannot do something, but Bunzo insists that she must do it. When Shiori begs, Bunzo tosses water in her face and tells her that she can always leave to die by some roadside. He gets up and goes and Isao goes in and touches his mother’s shoulder. She screams to not be touched and then notices its Isao. She hugs him, crying, and apologizes. It was there that the murderous intent was born in Isao. He vowed to kill his father then and there. At the station, Isao finally asks for a cigarette. 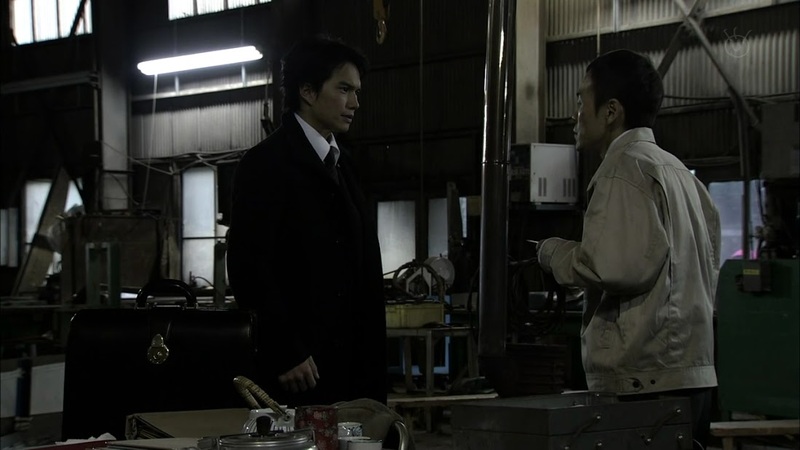 The detective hands over the cigarettes and lights it for Isao. He apologizes for keeping the younger man there for so long. Isao then says his father was a very selfish man who only thought of women and drinking and hated it when things weren’t under his control. Didn’t Isao have a hard time with a father like that? Isao looks down and asks after his brothers. 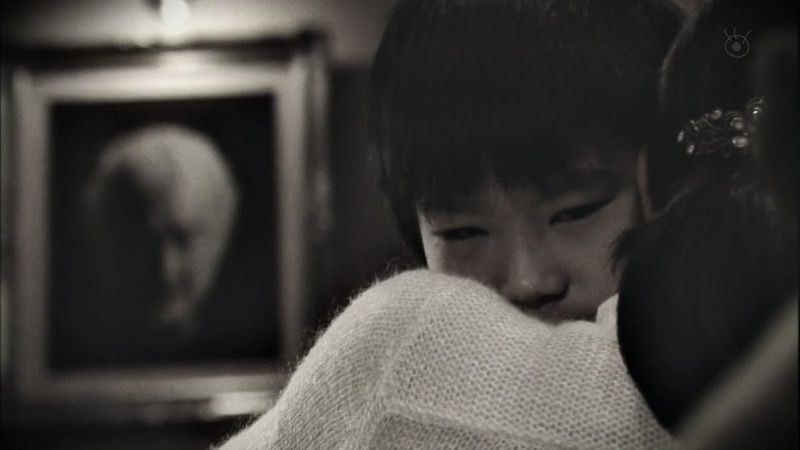 We flashback to the brothers staring at a picture of them taken with Shiori before she died. At this time, Bunzo returns home with a woman. When she says she envies his wife, Bunzo yells that there is no such person there—she went to hell. Mitsuru angrily turns and rushes out of the bedroom with Isao calling after him. 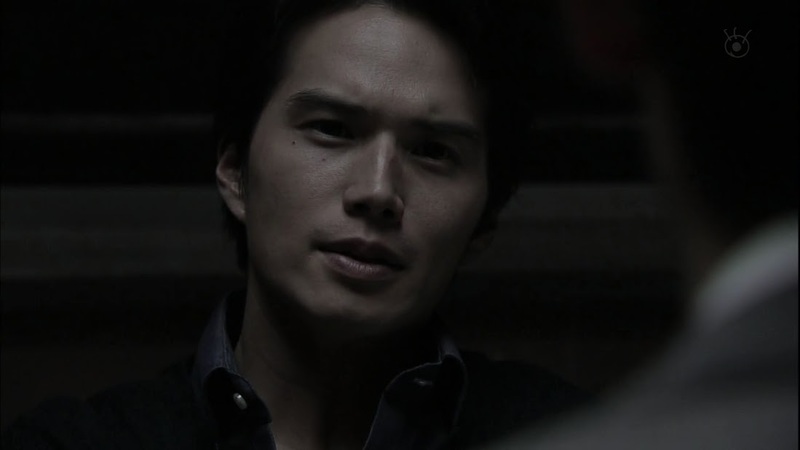 Mitsuru goes up to his father and yells that it is all Bunzo’s fault that Shiori died. Bunzo coldly kicks his eldest out of the house. Isao quickly takes Ryo and rushes out to join Mitsuru. As they leave, Bunzo tells the woman he’s the poorest man in the world in need of comfort. Right. The selfish [insert strong expletive of your choice]. The boys sit outside in the cold. Ryo complains that he is hungry and Isao asks his brothers what they think would happen if Shiori were to “revive.” Mitsuru doesn’t get this. Isao then says if their mother revives, the three should escape that place with her. Ryo puts his tiny hand on Mitsuru’s arm and the eldest vows to take his siblings to a place where the evil man doesn’t exist. Isao asks if Mitsuru really will and Mitsuru says it’s a man’s promise to another man. 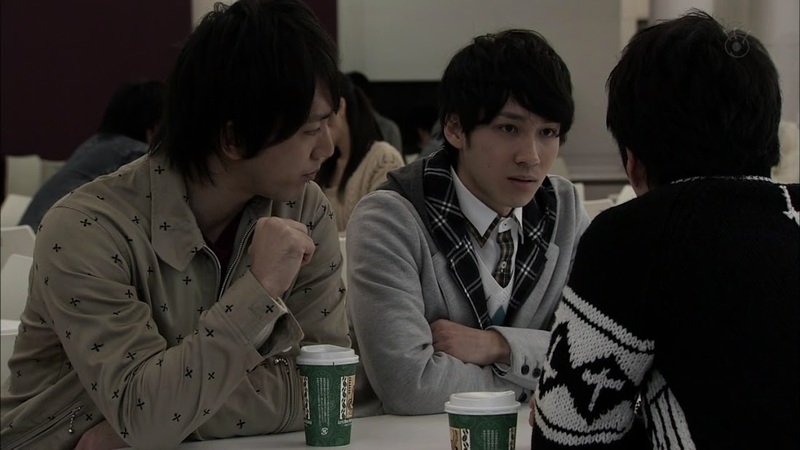 We are then back in the police station where we learn that Mitsuru left home shortly after graduating from junior high. Wasn’t leaving home the equivalent of coming out form Bunzo’s spell? Isao smiles—how literary. The detective then says he’s a romantic at heart and the two then laugh. The detective then asks if Isao didn’t feel some qualms (even after flipping the “off” switch” to leaving his little brother alone. Isao promptly says that his brother had his own life. The detective finishes with “and you had yours.” Isao’s smile is now completely gone as the detective states that Ryo had said he was happy Isao was free of their father even if he was lonely by himself. Isn’t it only normal that Isao had the desire to be independent and lead his own life? Well…he did have a hard time convincing his father as Bunzo didn’t want to spend a dime on his sons (I’m guessing he means on college and law school). We flashback to Isao talking to Bunzo about going away to college in Tokyo. Isao worked part time, but didn’t have enough money to support himself and pay for his college, thus he was stuck asking his father for money. What’s in it for Bunzo if he funds his son’s education? Isao promises to help his father after graduation. How can Bunzo trust Isao’s words? Isao then took out a loan agreement which states he must pay back the money Bunzo gives him in full five years after graduation. Bunzo takes it and looks at it. He then picks up a pen and amends the 5% interest to 15% before stamping it with his seal. Ouch. 15% interest can kill on large sums of money. Isao leaves the house and as he goes, there stands Ryo. It looks like baby brother is fighting back tears as he tries to send Isao off with a smile. In college, Isao talks to fellow classmates about not liking the justice system where tax dollars are thrown away on murders serving life sentences in jail. For Isao, they should all be executed. The woman behind him (Kanako?) speaks up and says she hopes they better themselves by having a second chance. Hope? There is no hope in the law—it is merely a business tool. Isao then says that all humans are originally evil. It’s whether or not you can control your evilness that makes you a good or bad person. His one classmate angrily disagrees as he doesn’t believe humans are inherently evil. Isao quickly and strongly negates this—he can’t agree with that at all. Everyone has greed, everyone has an evil spirit inside. This makes Kanako smile. Isao and Kanako walk together. She tells him that she is also from Karasumi and had heard rumors about one of the Kurosawa boys coming to that university in Tokyo. She smiles and tells Isao that his opinions are radical, novel, and interesting. She formally introduces herself and her major (literature). She then asks to return home for winter break with him. 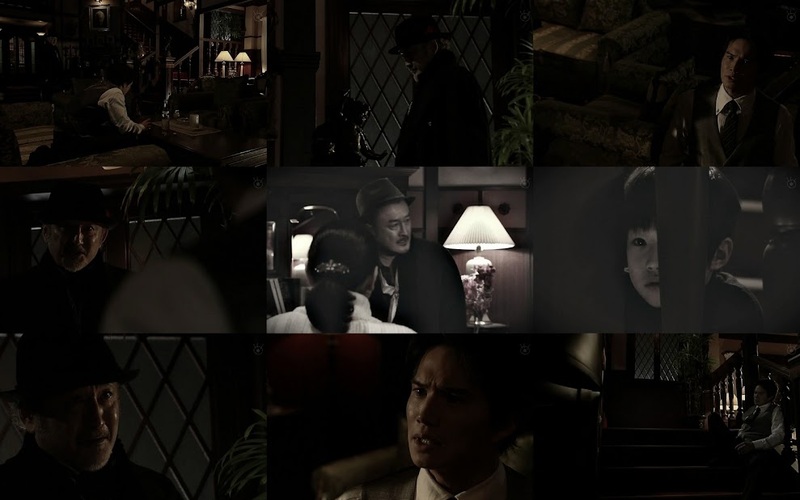 The flashback ends and the detective asks if Endo Kanako, who is Isao’s friend from college, is also his eldest brother’s girlfriend. Isao affirms this. Did Mitsuru meet Kanako through Isao? And if he did? 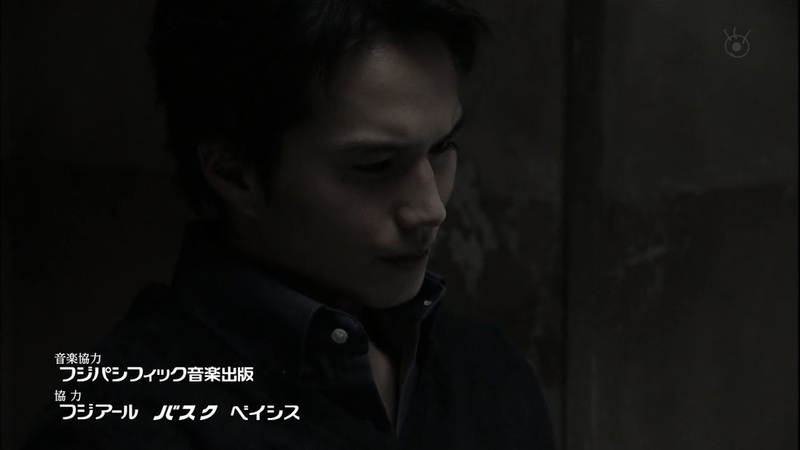 The detective then says Isao must have a good relationship with Mitsuru. Isao says it’s only a normal relationship. How can that be? 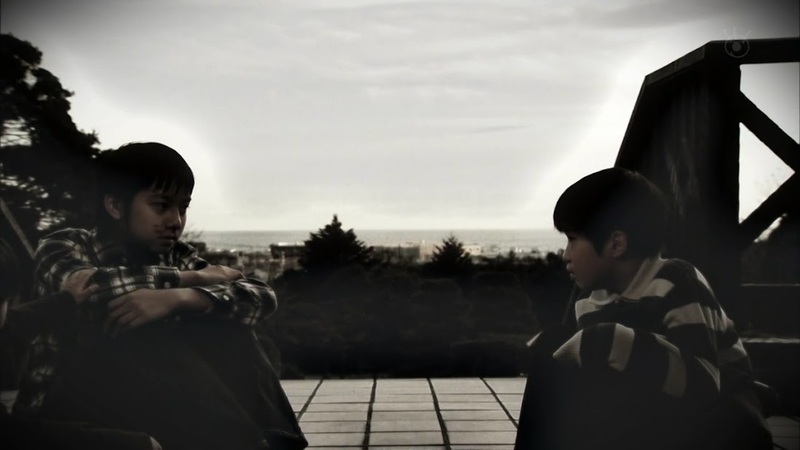 The brothers grew up in such a harsh environment that their bonds must go really deep. 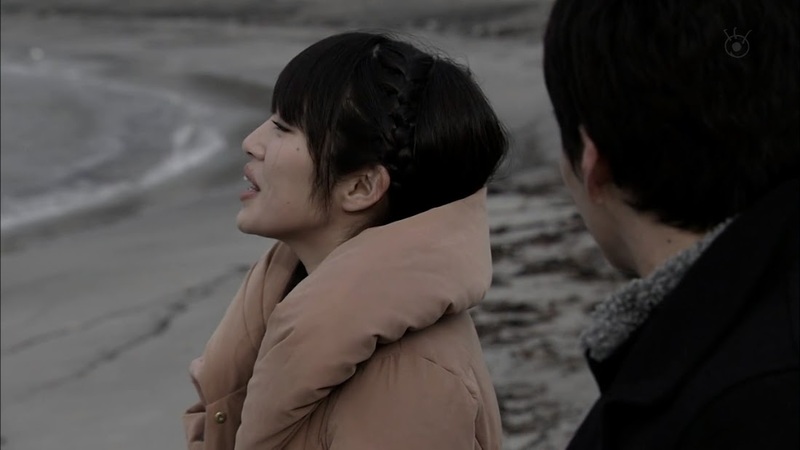 Back at the beach (this time it’s winter break from school and not Isao’s and Kanako’s reunion), Kanako says that she used to go to the beach often in high school. Isao asks if Kanako wore a white uniform. Kanako says she did and Isao says he remembers seeing girls often in those uniforms. Kanako smiles—Isao doesn’t pay very much attention to girls, does he? He’s interested in different things than other men his age—Kanako likes that about him. Enter Mitsuru who has a girl in tow. 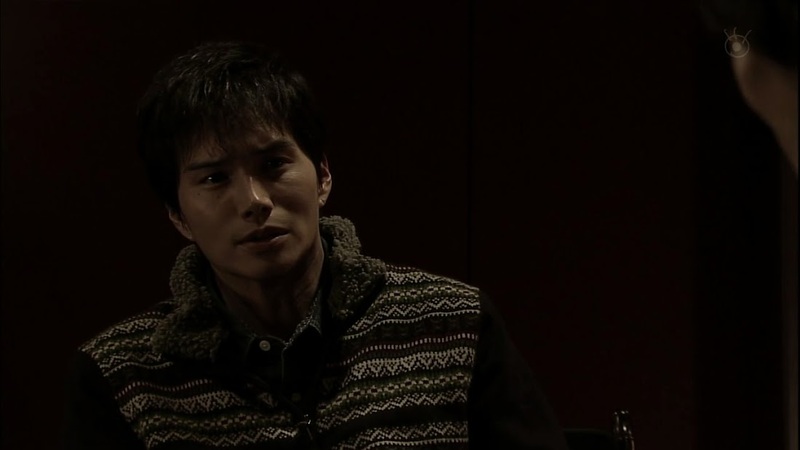 He calls out to Isao and then slings his arm around Kanako’s shoulder asking her to warm his lonely arms. She seems pretty shocked when Isao calls him nii-san. Mitsuru smiles and gives her his name, age, height, and weight before saying he’s currently seeking a girlfriend. He then looks back and forth between Isao and Kanako—is she Isao’s girlfriend? Isao refutes this and Mitsuru asks Kanako out before running back to his impatient date. Kanako says that the brothers can’t be more different. Isao apologizes and Kanako smiles—nothing badly meant. Bunzo is playing with his women and throws a hand full of bills in the air. The girls scramble for them. Bunzo laughs at first before his face darkens. Isao is up in his room studying when Ryo knocks and asks to talk to him. He overhears the merriment downstairs and Isao comments that their father never changes. The two go inside Isao’s room and Ryo sits down by the desk saying he sometimes feels like the Kurosawa home is not his own. Isao apologizes for not contacting Ryo often. Ryo tells Isao that he knows he’s busy and trying his best. Isao asks if Ryo is living in the house. Ryo says he is. How about Mitsuru? He hardly comes home and usually only when their father isn’t present. His address changes every time he gest a new girlfriend. Isao comments that is just like Mitsuru. So what does their older brother do? He DJs in a bar and seems to have a good time. Isao looks around his room and says that time seems to stop in that house. Ryo smiles and says that Isao’s time seems to be moving forward. Ryo envies Isao who immediately asks his brother to go to Tokyo after high school. 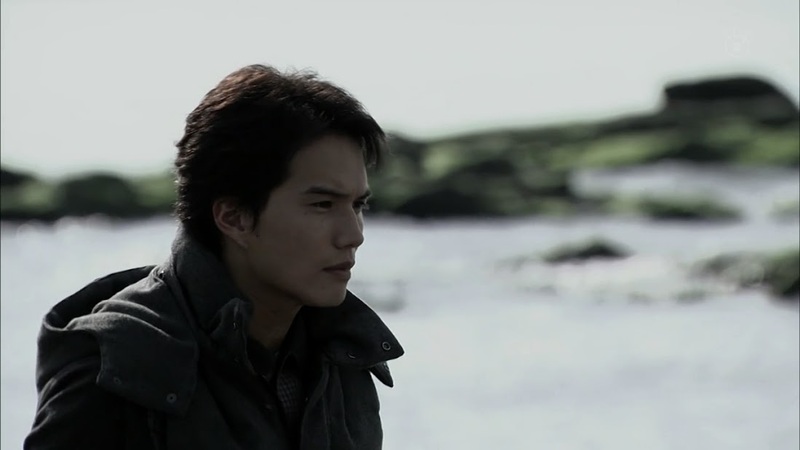 Ryo refuses—Tokyo is too far away for him. Is he certain? Ryo says he is and then leaves his brother alone to study. The detective states that Isao graduated from college in only 3 years and passed the state law exam when he was 24 (that’s pretty dang fast and good for one so young). If I go by US standards. You graduate from your undergrad degree in around 4 years and then spend 2-4 years pursuing your law degree. That puts you around 26-28 and that’s not counting how long it takes to pass the bar exam—Isao must be a genius. Isao hasn’t returned until now. What made Isao do that? 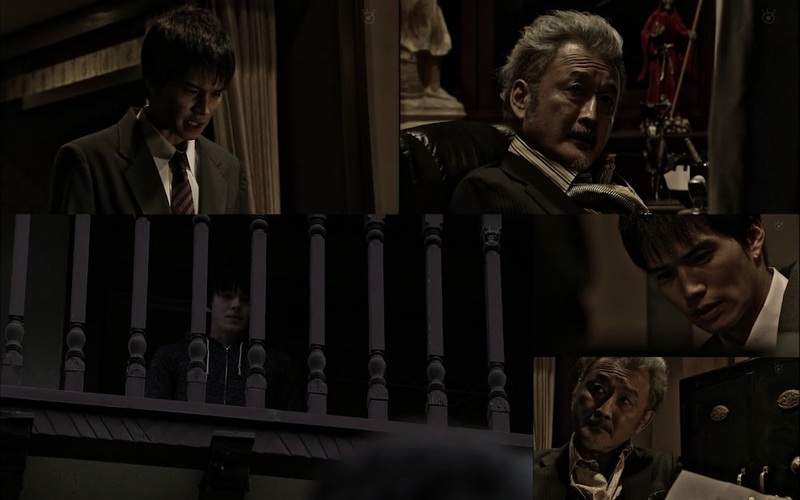 Isao rebuts with the interrogation being about the investigation into his father’s murder. The detective replies that knowing the history can help him figure the murder out. 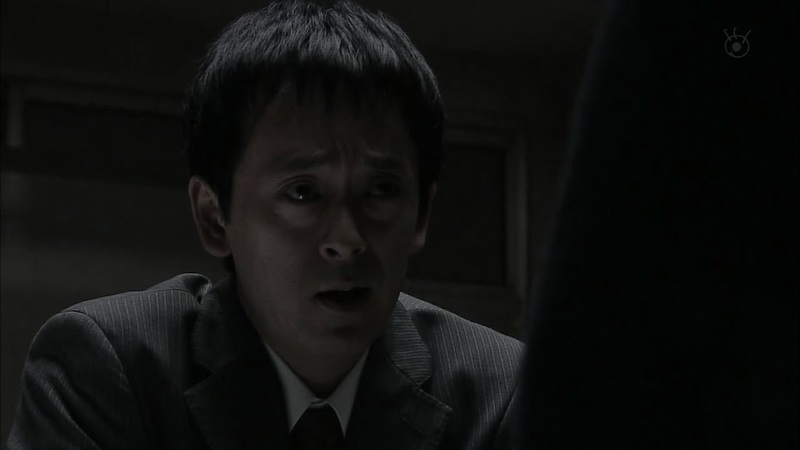 Isao then says that the detective seems to be pinning the murder on Isao. The detective smiles before saying loudly that he only wishes to know the truth. Isao raises his voice as well—how many times did he already state that he had no urge to kill his father? Stare down. 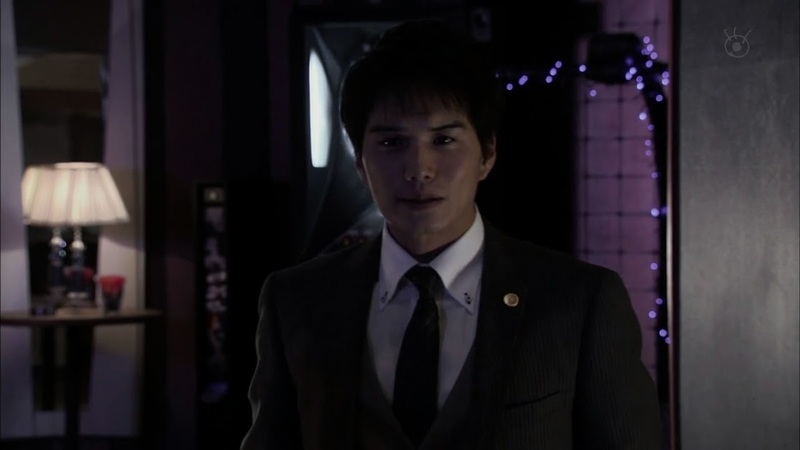 We then cut to Isao in a flashy suit happily going into a bar where he finds Mitsuru with Kanako. He looks horrified. 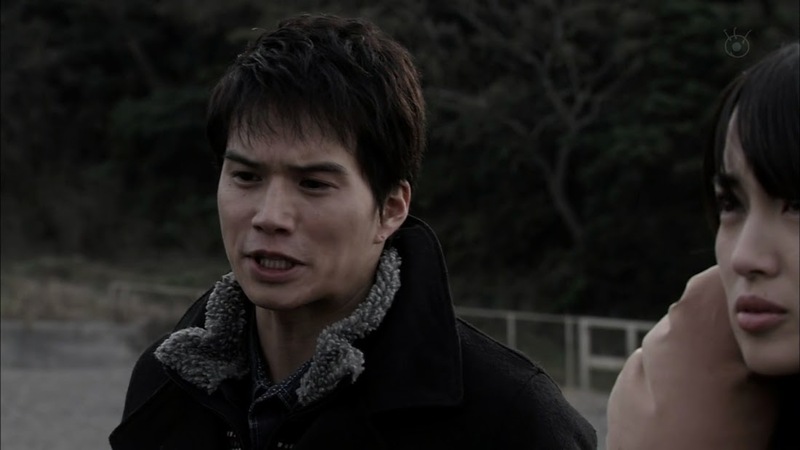 Mitsuru says that he is now living with Kanako who apologizes for not telling Isao sooner. Isao asks what happened and Mitsuru explains that they met by accident after she graduated from university. Kanako smiles and says she never expected to live with Isao’s older brother. Mitsuru laughs and Isao’s face darkens. Yep. He liked her. 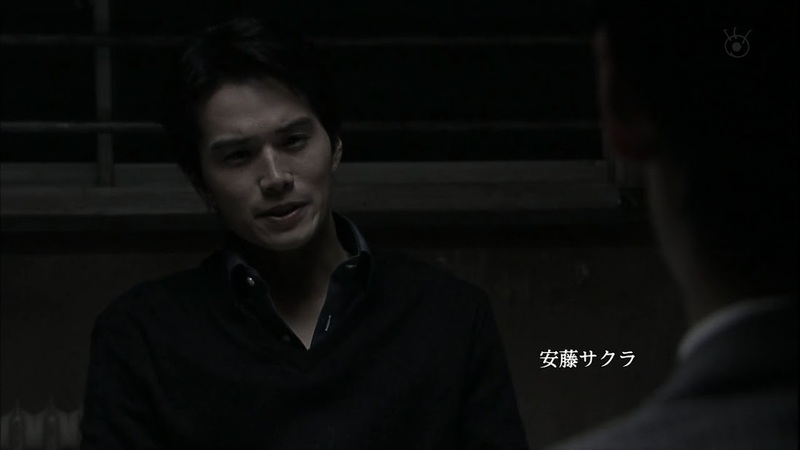 The police then asks about Shiori’s suicide. What does that have to do with Bunzo’s murder? The detective says he heard Bunzo didn’t stop having relationships with women even as he got older. Mitsuru seems to be just like that—what does Isao think about that? Isao quickly says nothing. It has nothing to do with the situation right now. 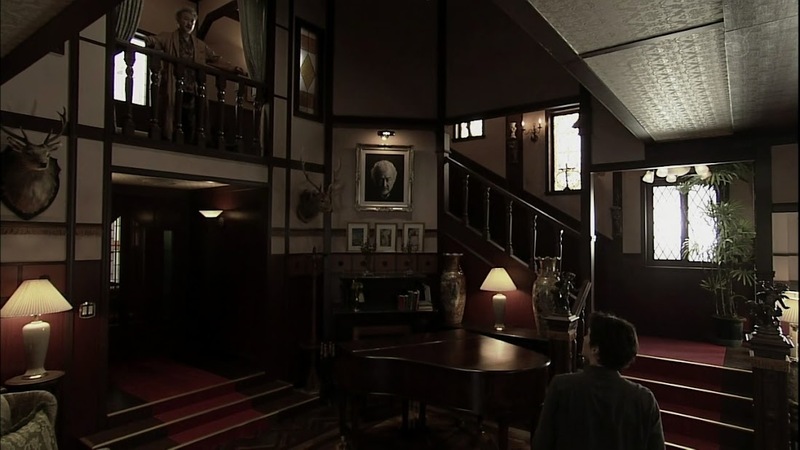 We then flashback to Isao coming into the living room and seeing Kurumi with his father. He immediately recognizes her from the previous night with Mitsuru. Benzo introduces him as the second son. Isn’t he good looking? Isao leaves and asks Suemtasu who she is. The young servant gives him Kurumi’s name and says that Bunzo seems to be quite infatuated with her of late. Isao waits for Kurumi outside. Play with his father one day and his son another. Kurumi has no qualms about this. It’s fun, isn’t it? Isao then asks if she shares her love between a father and a son. Is there anything wrong with that? Kurumi says innocence and morals don’t make her rich. She then bids the prince goodbye. Isao starts working on Bunzo’s current company problem with the help of Oguri and Suematsu. Apparently there’s an issue with the construction company they were working with. The company is now threatening to sue them. Isao can’t see how they have any grounds to sue and Oguri clams up. Isao then heads to the construction company to talk to the owner. The man refuses to back down and Isao says that the Kurosawas will no longer do business with them. The owner complains that will destroy them. Oh well. The man then says the Kurosawas hardly gave them any money and only gave them illegal construction jobs. 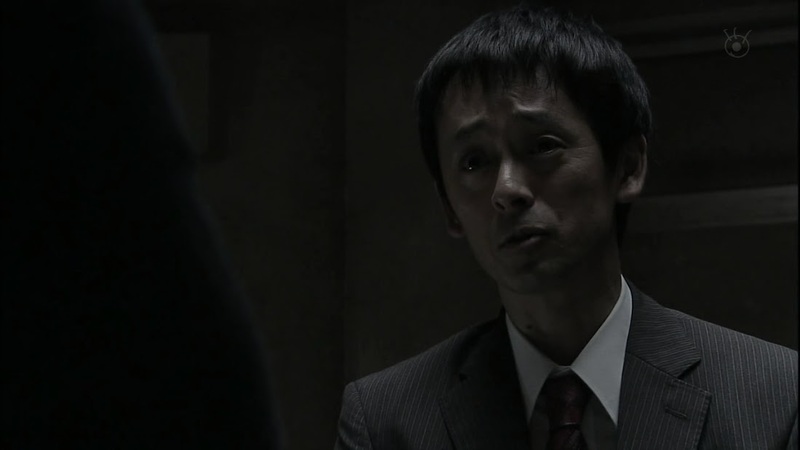 The owner threatens to make the information public and Isao asks if the man has any proof. Of course not. The owner says father and son are alike. Isao just calmly tells the man to call him if he changes his mind. Looks like the boy who bit Ryo earlier is that man’s son! At the Kurosawa house, Isao lies in bed, gripping his shoulder once again. His cell rings. It’s Kanako. She asks if Isao is with Mitsuru. No, Isao hasn’t seen him. Kanako says Mitsuru has been missing for two days now. It’s not the first time, but she still worries. She apologizes and goes to hang up, but Isao asks her why she chose Mitsuru. 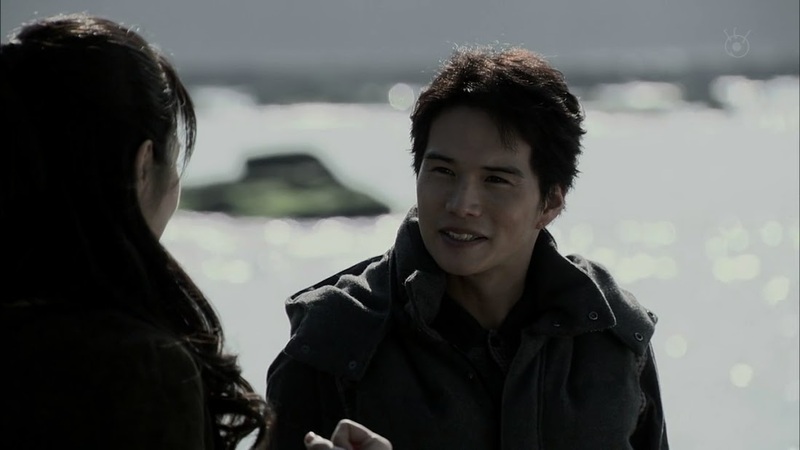 He complains about the state of their relationship and tells her to leave Mitsuru. Kanako says she’s disappointed as Isao understands nothing and shouldn’t have asked her to do that. She then hangs up the phone. Isao drinks downstairs when his father comes in. Is Isao drunk? There are times when even he needs to get drunk. Isao complains about being his father’s dog and asks how Bunzo can do something so evil. Isao asks if his father has ever loved anyone. Bunzo tells him not to be childish. Isao tells him to stop evading the question and then asks if Bunzo ever loved Shiori. Of course, Bunzo laughs at this. Has Isao gone soft? Isao says Shiori was only ever good to Bunzo. This makes Bunzo laugh more until Isao surges towards him and yells that Bunzo backed his mother into a corner. Isao recalls an argument about Shiori saying she doesn’t want to do something any more and Bunzo throwing a fit about her not being obedient like he thought. Shiori cries and that turns into laughter as Isao watches on. Isao says that Bunzo killed their mother. Bunzo states that Shiori killed herself of her own free will ridding Bunzo of a useless tool. This enrages Isao. Bunzo then caresses his son’s face and bids his “useful lawyer” goodnight and goes upstairs. Isao collapses. The urge to kill that piled up in the depth of the heart that expands gradually and appears as an uncontrollable impulse as if having intention, that swallows everything that continues being uncontrollable and destroys everything. The urge to kill develops and reaches maturity, making a strong odor, and that won’t disappear until a large quantity of blood is drained. Man, Isao really does write like a man possessed. While he’s writing all of this feverishly, we get flashbacks to his mother’s suicide, his father’s reaction to that, and other scenes. 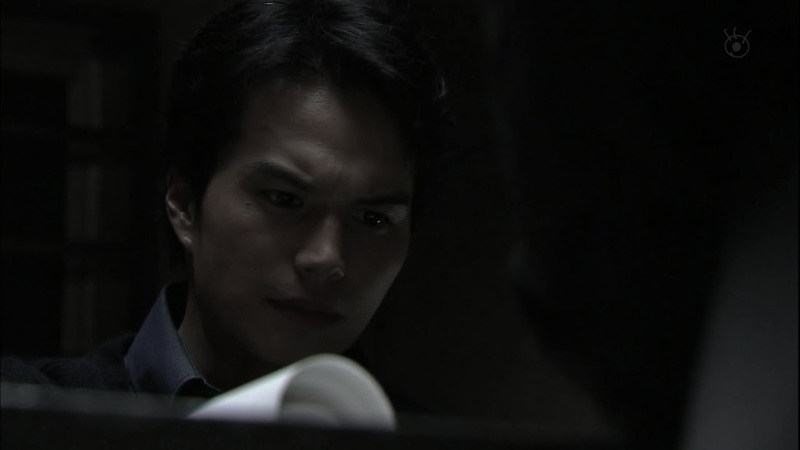 The detective throws the manuscript down in front of Isao. This surprises the younger man. The detective begins reading the words. This is the novel Isao wrote, isn’t it? This is Isao’s intent right their to kill his father, isn’t it? Isao says it’s a work of fiction. It doesn’t matter. That manuscript proves he had the urge to kill. Isao had thought he’d be free of his father if he went to Tokyo to become a lawyer, but Bunzo wouldn’t let him go. The only way for Isao to be free was to kill his father, right? Isao shakes and we see a scene of someone hitting Bunzo in the head. End episode. Next week will be older brother Mitsuru’s story. Did one of the brothers kill Bunzo? Did all three? Or was it someone else? Like I said, I don’t really care who did, but I am really curious. If someone went through undergrad & law school straight through they would be about 24-25. You usually take the bar exam the summer you graduate from law school. Most people in the US pass their bar exam on the first try but it is not unusual for some states to have a more rigorous exam (I.e. New York where 3 tries is normal). Yeah, my math was a little wrong, but it’s rarer for people to plough through only 4 years of undergrad and the 2-3 additional grad years. A lot of people I went to college with were doing undergrad in 5-6 years. And let us not forget the exorbitant amount of debt one accrues. No wonder Isao tried hard to do it fast to try & be free of the debt he owed his father.